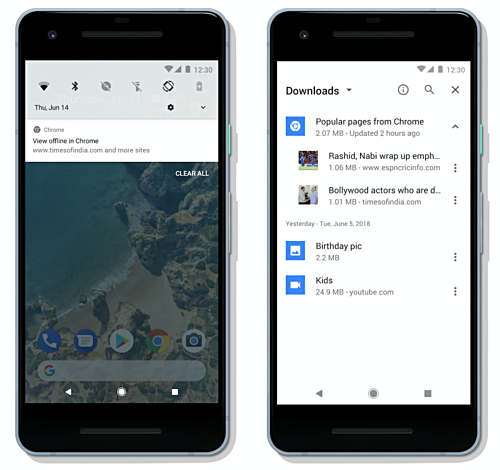 Chrome for Android is receiving a new feature that lets users save a webpage such like news articles, sales page etc for offline access. Though this feature is not new as many other browsers has already gotten this feature. 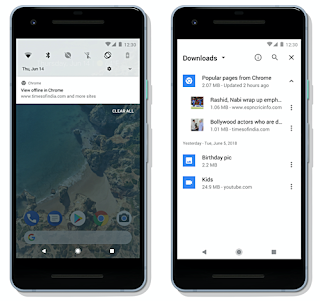 When you’re connected to free, unmetered WiFi, Chrome will automatically download relevant articles, based on what content is most popular in your location. If you’re signed into Chrome, you’ll also get articles that are relevant to you, based on your browsing history. This downloaded content is then available whenever you want to access it, even if you don’t have a connection. This feature has already started rolling out on the Playstore and would be available in India, Nigeria, Indonesia, and Brazil. According to Google, the feature is specifically aimed at its Next Billion Users (NBU) markets. Good piece of information, thanks for the Post, it would really help a lot of people. I think the feature has always been there, just print the page as PDF.